May 5 at the Hern Greyt Works (Kennel). Please be prompt, we will take each dog in order of arrival to draw blood. The Needle Nose ROOtique will be open from 1 to 3 pm in case you have some shopping to do. Mary Greenleaf will be present offering the Greyhounds’ favorite beds. The online registration and online payment methods are very simple to do. Please pre-register your dog and prepay clinic fees by May 1 if you wish to participate in the blood draw. The payment is not refundable since the spot must be pre-reserved and all the paperwork needs to be done ahead. You may notice a slight price increase due to Protatek fee increase but what we offer is still the best deal. Once again, we have a challenge. 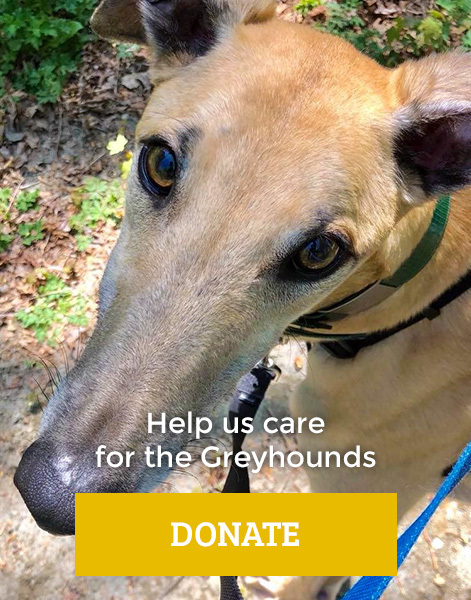 One of our wonderful volunteers has proposed we raise money to help support more available dogs get tested for tick borne diseases before they get adopted. The anonymous person will match donations we collect up to $500. With the matching funds, the amount could total $1000. You do not need to specify which dog to test or choose the test category. This fund will not just test but also be used to treat available dogs if necessary. Thank you for tick testing your dogs.